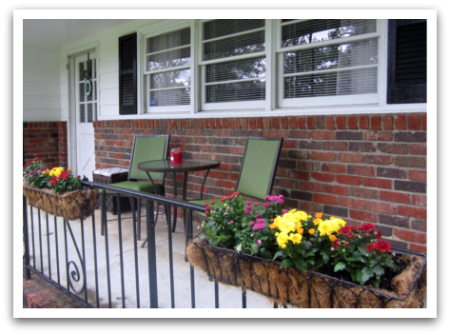 Last March, after a long Winter and a few months in our new home, I decided to add some simple flower boxes to our front porch railing. They were an easy project with a lovely return and also a great way to make the house feel a bit more homey. But as it happens year after year, Spring turns to Summer and this year in particular I had a baby which meant that as of last week, my flower boxes looked like this. As I am sure you can guess, I was SUPER ready for Fall to get here so I could get some new flowers. And even though our highs will be in the 80s all week, I am calling it. It’s flower time! Using the same flower boxes, I just needed to get more dirt and some plants. 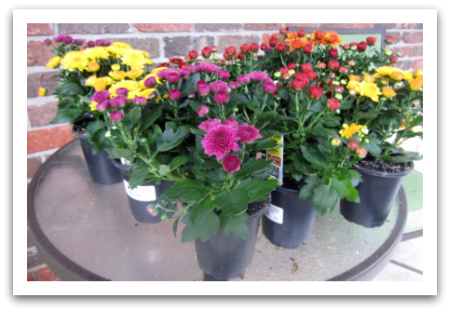 I found a lovely assortment of red, yellow, purple and bronze mums for $1.25 each at Lowes. Those with the dirt were a grand total of $20! Not too bad for a total makeover. Flower boxes are so ridiculously easy. I can’t stress it enough. 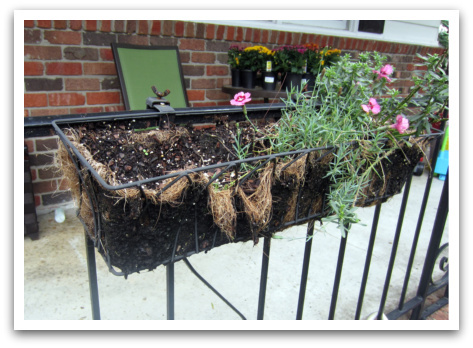 Once I mounded some dirt, I just loosened the root balls of each plant and tucked them into their new homes. I couldn’t be more pleased! Now all we need are a few pumpkins and we’ll be ready for Fall! 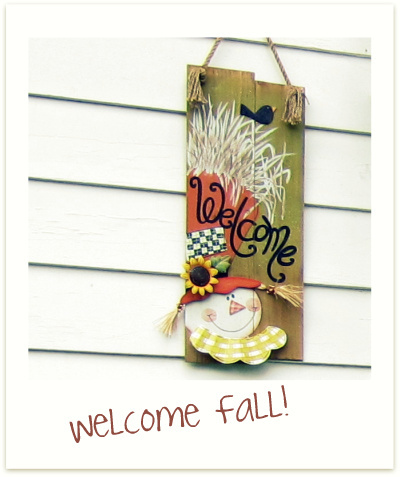 Have you put any fall plants out yet? I would love to see your finished products! I LOVE Mums They are one of my favorite flowers. Home Depot sent me a coupon for buy 2 get 1 free so I think that is what I will be doing this week! I’ve been wanting flower boxes for a while now. Thanks for the added inspiration! Mums are SO fall to me! 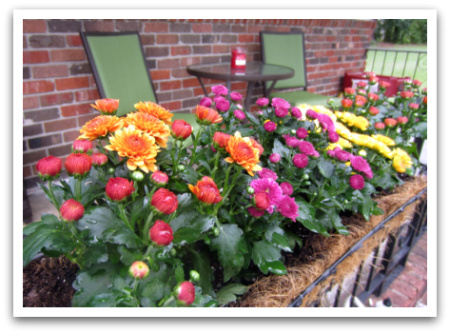 I don’t have a railing on my front porch so maybe I should just put a pot or two of mums out. My house needs some sprucing up! I am still trying to enjoy my marigolds that I planted. They are orange though, so the pumpkin I set out matches them well! I don’t have any railings 🙁 but I may put some mums or something on my front stoop and deck. 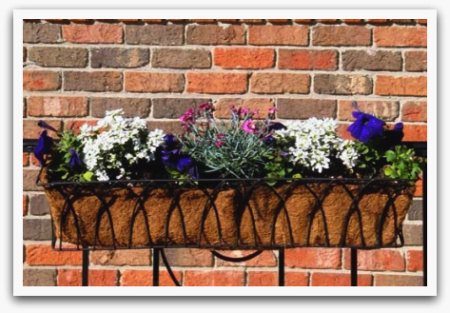 I love the look of flower boxes. I think they look quaint. I do not have one though. Love all the happy colors to welcome you home.